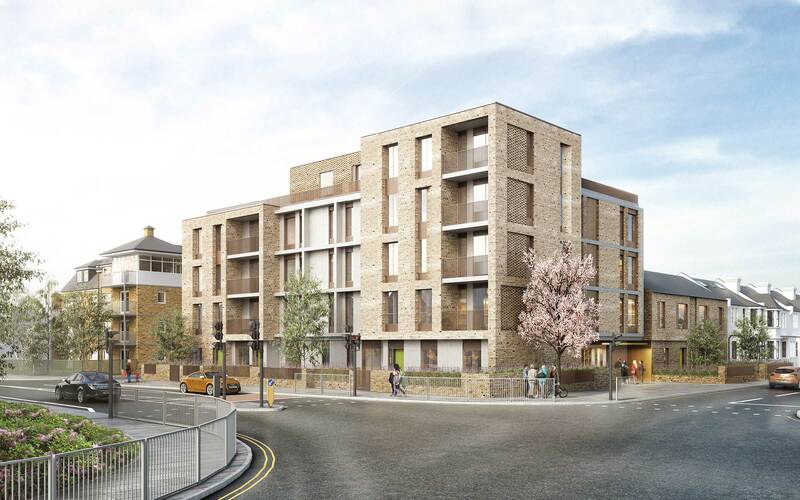 The scheme represents a well-considered and sensitive design response to complement the site and neighbouring buildings. 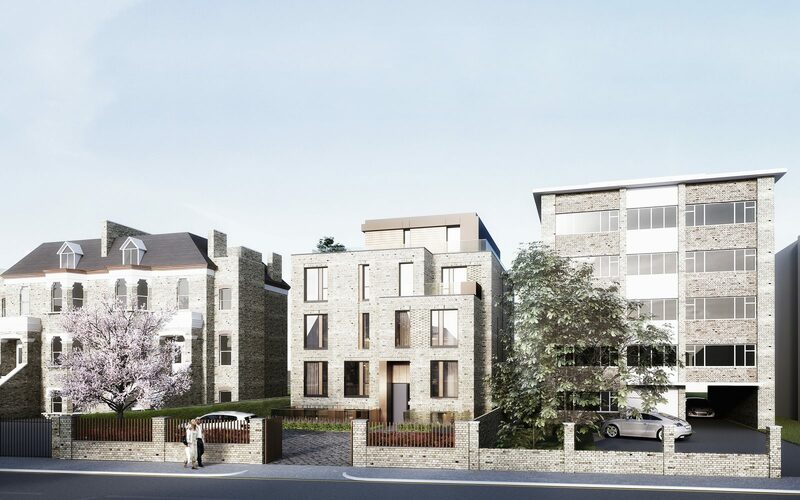 It provides high-quality, sustainable homes including two, three bedroom family houses with gardens on a currently under-utilised site. The materials for the proposed development are traditional brick, metal, bronze, used in a contemporary, contextual manner. The form of the building is simple yet articulate and is an appropriate embodiment of a high-quality residential development in the location and context. The relationship between landscape and accommodation is celebrated with all living rooms facing south towards the private gardens.